The lobby of The Schaller Studio gives visitors a very colourful welcome. Bendigo, Vic. So you want to live an artist’s lifestyle but aren’t ready to give up your day job, nice sheets and fancy toiletries? In Bendigo, there’s a way to have it all, finds Leanne Clancey. 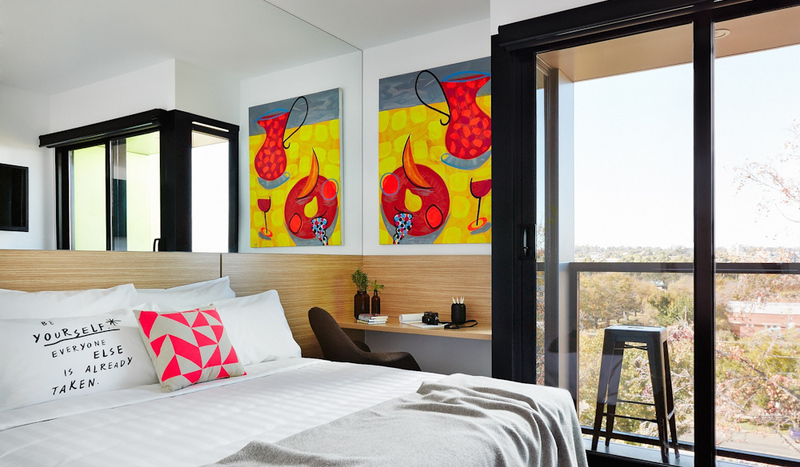 When the Bendigo Art Gallery started luring arty out-of-towners for its blockbuster international touring exhibitions a few years ago, the town was crying out for a suitably chic hotel to house them in. 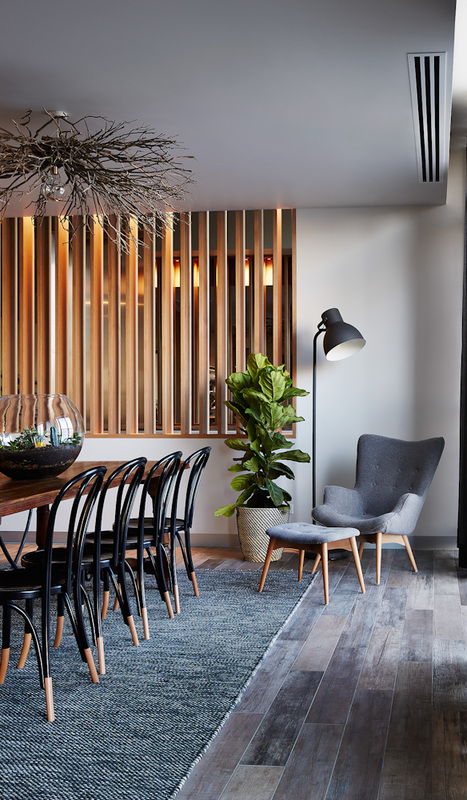 Thankfully, Art Series Hotels took on the challenge, and the result: The Schaller Studio has put the handsome central Victorian town back on the map. In the 1800s, Bendigo’s streets were buzzing with folk in search of gold – the 24-carat type. Many of the buildings you see now were the result of gold rush-era prosperity and hint at the wealth that once flushed through the place. Today, the big drawcard is Bendigo’s art, culture and good food – all of which are supplied in great abundance. 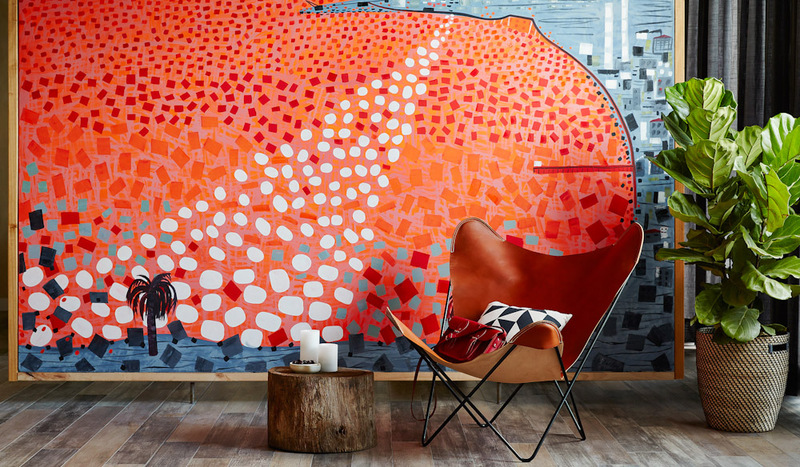 Named after Melbourne-based painter and sculptor Mark Schaller, the 128-room Schaller Studio arrived in 2014 and brings with it plenty of the colour and energy that the artist’s work is celebrated for. I arrive in the foyer on a grey winter’s day to be greeted by a sea of vibrant pinks, oranges and yellows (that’s the artwork), plenty of bouncy rhythms, and a team of upbeat, chambray-clad service staff. Divided into several distinct zones, the huge communal foyer space feels more like a lounge bar than a hotel lobby and with lots to keep me distracted (food, wine, coffee, board games, TV, old novels, paint brushes, canvases) I start to wonder if I should even bother going up to my room. When I do, I find a snug yet bright space divided into two rooms (living room and bedroom, each with its own mini balcony). Rooms here are called ‘workspaces’ and are designed to resemble an artist’s bedsit (art books, pin boards, canvases, paintbrushes and all). There’s a little note on my bed encouraging me to bounce on it, so I oblige. The bed is good, the pillows downy soft. Décor wise, things are kept neutral so as not to detract from the feature artwork. Mark Schaller produced more than 200 original works for the hotel and each room houses one or more, as well as little details like the random ‘Schaller’ scrawled in acid yellow paint on my bedroom wall. My suite has two bathrooms (overkill for one but good thinking when the room is broken into a twin). The witty EVO products are a nice touch, but the fluorescent lighting is a definite mood (and beauty) killer. While it’s not exactly going for ‘luxury’, the hotel offers great value, plenty of style, and a heap of personality. If you’re in town to check out the gallery, excellent restaurants and wine bars, this is the perfect base from which to stroll into town – that’s if you can drag yourself past the foyer. Verdict: Budget-friendly small city hotel with a big city attitude. Rooms aren’t huge but the hotel is fun and friendly. We rated: The stylish communal lounge areas. There’s loads of space to find your own corner; perfect for curling up with a book, pulling out a daggy board game or creating your own art (they’ll supply the gear). The adjoining cafe/bar means you can relax with a wine or coffee in hand, too. We’d change: The cold fluoro bathroom lights. And charging for in-room pod coffee, which seems a bit petty. Notes: We paid $182.50 for a Workspace Suite, which included a light breakfast.